Yechiel Hoffman empowers people, across all generations and backgrounds, to enrich their personal and professional journeys through meaningful learning experiences. As Director of Youth Learning and Engagement, Hoffman provides organizational, educational, and spiritual leadership to the Los Angeles’ Temple Beth Am community. 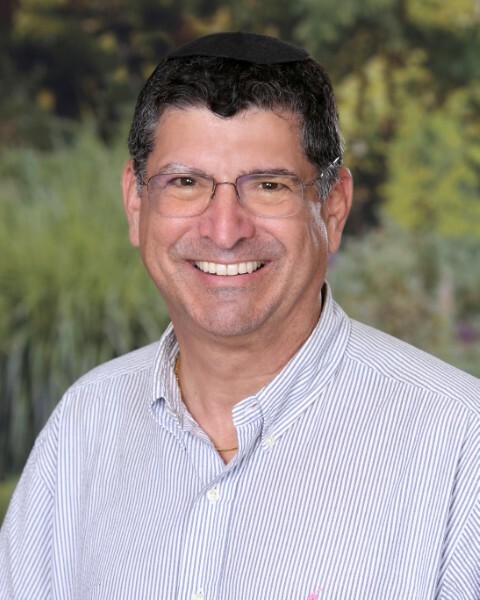 He most recently served as LimmudLA’s Executive Director, connecting Jews through volunteerism, community organizing, and cross-communal learning experiences. As an organizational leader, Hoffman employs his professional and academic experience to support innovation and growth for both start-up endeavors and legacy institutions. Hoffman excels at animating networks and fostering meaningful engagement and purposeful relationships. Hoffman began his professional journey in the film industry, running a comedy club, the Laugh Factory, and serving as a literary manager for writers and comedians—and then he turned to Jewish education. An educational innovator, Hoffman created the Teens@LimmudLA Presenters program, the Viral Judaism Project, and the High School Jewish Futures Project. Most recently, Hoffman co-founded JEDLAB, a field-wide Jewish education network, promoting relationships and collective inquiry, collaboration, and experimentation to further the quality and growth of Jewish education. Hoffman serves of on the board of Jumpstart, transforming the broader Jewish community through social entrepreneurship. As a community activist, he serves as a rabbinic adviser, activist and outreach expert for issues related to LGBT inclusion, Women's issues, and education. As a doctoral candidate, in education, from Northeastern University, Hoffman applies organizational leadership and learning models to purpose-driven networks of learners and activists. Amir was born and raised in Israel, in the city of Ra’anana. After completing his IDF service he moved to the United States to pursue a career in acting, first in New York and then in Los Angeles. He received his BA in Theater from The New School University in New York City, and his Masters of Education and Bachelors of Literature in Hebrew Letters from the American Jewish University in Los Angeles. As a dynamic educational leader, Amir’s passion for Jewish learning and education stems from his love of learning and children. His background as a musical theater performer and student of theater and drama fostered his approach to integrating experiential education with a core commitment to Jewish knowledge and Hebrew language. Amir’s experience in the field spans more than ten years, including teaching and serving as an educational leader in a variety of formal and informal learning environments. Amir most recently served as the Director of Education at IKAR, and has served as the Assistant Director of Education, Youth Director, Hebrew and Judaic teacher, and drama instructor at Congregation Tikvat Jacob Beth Torah in Manhattan Beach. Farrah Noah comes to Temple Beth Am as the Operations Coordinator in the Youth Learning & Engagement department with vast experience as a non-profit professional. First, as the Assistant Director for Imago Relationships International, where she managed membership relations for over 1000 members world-wide and planned 3 international conferences; and more recently, at the BJE as the Program Administrator for two endowment programs that supported Jewish Day Schools in the Los Angeles area: the Jim Joseph High School Affordability Initiative and Generations LA. Farrah lives in Los Angeles, where she grew up and attended Jewish Day School. She has a BA in Political Science from the University of Arizona and an MA in Teaching from Boston University. She has two young daughters who are proud students at the Jacob Pressman Academy of Temple Beth Am. She is also a devoted fan of the New England Patriots and wishes she had more time to read political thrillers. Heather Z. Rothstain is a passionate Jewish educator and is excited to be part of the Jewish Learning Community for a second year. She holds an MA in Interdisciplinary Studies with a focus on Arts Education, from Lesley University and a BA in Studio Art, from the University of California, Irvine. Heather has held administrative positions at American Jewish University's Whizin Center for Continuing Education, USC Shoah Foundation, USC Fisher Museum of Art, Otis College of Art & Design and currently holds the position of library assistant at Pressman Academy. She has taught various visual art workshops to students K-5th grades at libraries, after-school programs, art centers and museums in Massachusetts and California. Heather was a recipient of the 2016 “Word Grant” Bruce Geller Memorial Prize and created Transforming Jewish Text Through Artists’ Books, in which students explored the Ten Commandments and visualized them through the medium of book arts. In her spare time, Heather enjoys making artwork on an antique letterpress machine, reading, meditation, trying new vegetarian recipes and traveling with her husband. Pari was born and raised in Iran. After graduating from high school, she moved to Israel and continued her education at Technion College. She then got her bachelor’s degree in Math & Computer Science from Tel-Aviv University. After ten years leaving in Israel, Pari moved to LA and got her Teacher Associate degree in child development from Santa Monica College. Pari has been teaching Hebrew and Judaic studies for the past 26 years at different Jewish Schools in Los Angeles. During the day Pari works as an Art teacher at Lainer School, and also as a Hebrew and Judaic Studies teacher at IKAR. Pari has great love and passion for Hebrew and Judaism, and is happy to share that passion, as well as her experience and skillset, with the JLC community. Anne has been a part of the Los Angeles Jewish community for more than a decade and is am married to Rabbi Adam Greenwald. Professionally, Anne works as an art curator for Hebrew Union College and Valley Beth Shalom, and she also runs her own arts management consulting agency. Anne has taught in religious schools for nearly twenty years. She loves teaching because she wants to give Jewish kids today a different and better religious school experience than she had growing up. Anne’s goal is to ensure Jewish students are challenged, excited, and can find a path for meaningful connection to Judaism, that will keep them coming back for more. As a curator and educator, Anne believes in immersive environments that use both formal and informal education techniques to create a holistic experience. Esther was born and raised in Israel on a small kibbutz in the northern part of the country. After serving in the Israeli Air Force she moved to LA, where she completed a BA in Economics from UCLA. Later she continued her education by participating in the DeLeT (Day School Teachers for a New Generation) program of the HUC-JIR Rhea Hirsch School of Education. Esther has been teaching Hebrew and Judaic studies at Pressman Academy Day School in Kindergarten for the past five years. This is her second year teaching kindergartners Hebrew at Hillel Hebrew Academy. Esther is truly passionate about her work. She takes pleasure in passing on Jewish traditions through creativity, stories, games, and songs. Esther also worked in previous years at Camp Ramah in Ojai as a Gan specialist with children going into 1st grade, Kindergarten and the lower grades. This is Esther’s fourth year as a member of the Jewish Learning Community Faculty. Marcy Stieglitz was born in Boston Massachusetts and raised in Englewood New Jersey. During her teen years Marcy became an activist for SSSJ (The Student Struggle for Soviet Jewry) and spent her summers in Tel Yehuda, Young Judea’s High School Summer Camp. Marcy received a Bachelor of Arts in English Education from Fairleigh Dickinson University along with a New Jersey teaching certificate for Preschool from William Paterson College. It was at this time she met and married her husband Paul. They moved to Los Angeles where together they raised three children, Jonathan, Melissa and Jennifer. In LA, Marcy received a Master’s in Jewish Education and a Bachelors of Hebrew Letters concurrently, from the American Jewish University. She then began working as a full-time educator at Harkham Hillel Hebrew Academy Day School and was also offered the opportunity to become a JECEI Fellow (Jewish Early Childhood Education Initiative) through the Covenant Foundation, where she enhanced her educational skills while connecting with other expert mentors and educators in the field of Early Childhood Jewish Education. In addition to teaching at Temple Beth Am for the past seven years, Marcy has worked as a Preschool Director at Torat Hayim Hebrew Academy and at The Bilowit Children’s Center in the Chabad of South Bay. Marcy and Paul have been married for over thirty years. They are most proud of the accomplishments of their children. Jonathan, Melissa, and Jennifer. Revital was born and raised In Israel and went to Bar Ilan high school in Natanya, where she grew up. Ater her military service, Revital went to both Hakibutzim and Levinski colleges in Israel. Revital moved to the U.S. with her husband and two children, and I started teaching religious school in temple Beit El iin San Pedro and Ner Tamid in Rancho Palos Verds. Revital also taught in The Kabala center in LA, as well as in Hillel Hebrew Academy, where she teaches currently. This is Revital’s first year as a member of the JLC faculty. Laura earned her Bachelor’s degree in Theatre, and then began working as an Artist and Educator teaching all ages, toddlers through seniors, using performance, movement and visual arts, multiple learning modalities and experiential education to empower identity and expression among young students. Later, Laura went back to school to earn a professional culinary degree and become a Chef. Throughout her journey of exciting and eclectic careers and endeavors, Laura is grateful to have been working in Jewish Education for more than 15 years, using her creative skills and passion to engage and enhance the study and practice of Torah, Avodah and G’milut Chasadim. Rachel Cohen grew up in a small village in Israel and started her teaching career when she was 19, teaching troops, while serving in the Israeli army. Her formal teaching education started in Tel Aviv, where she worked with children with special needs. Rachel immigrated to the United States in 2000 and continued to pursue her education in Childhood Development at West Los Angeles College. In 2007 she joined Pressman Academy ECC as a lead teacher. Pressman Academy has become a second home to Rachel and she enjoys her work very much. Rachel’s passion is teaching Ivrit (Hebrew) with dances, songs, play, and utilizing the all five senses. She loves teaching and enjoys the opportunity to learn from her students. Rachel is committed to making learning fun and meaningful for all of her students. Dale, native of Los Angeles, began teaching accompaniment guitar at age 11 and continued through high school, teaching a single class of 106 students at Marquez Elementary School in Pacific Palisades. Dale co-directed Broadway shows in Hebrew for Los Angeles Hebrew High School, followed by ten years teaching English and Social Studies at NPI/UCLA (now the Semel Institute) Inpatient Hospital School. Dale comes to Beth Am after long careers at Sinai Temple and Milken Community Schools, teaching and leading pre-k through 12th grade Tefilla. Dale works as a shaliach-tzibor-in-residence at Adat Shalom in West L.A., as well as Congregation B’nai Israel in Tustin, Temple Beth Emet in Anaheim, the Jewish Cooperative of Orange County, and Temple Bat Yahm in Newport Beach. Dale is married to Tracy and their children include Beth Am’s recent rabbinic intern, now Rabbi Rebecca Schatz, as well as Sammy (27), Jacob (25) and Jonah Schatz (23). Emily Weisberg recently earned her doctorate in education from the University of Southern California, writing her dissertation on social justice education in Jewish day schools. Along with her work at Wilshire Blvd Temple, she does independent consulting with day schools and congregational schools across the country. She received her master’s Degree from the University of California, Santa Barbara and her BA from American Jewish University. Emily has been working with the Temple Beth Am community for the past two years, helping with EPIC Shabbat and leading a Rosh Hodesh group. She has also worked in other religious school in the Los Angeles area as a Judaic studies teacher and Tefilla leader. Emily is currently a 3rd year rabbinical student at the Ziegler school and has a masters’ in Jewish Education and Jewish Studies. There are many opportunities for parents to get involved in the JLC. Parents are encouraged to attend and participate in family programs, parents only social events, and attend our Sunday Havdallah service, every Sunday at the JLC. Parents who are looking to get involved by volunteering as a room parent or helping to organize other events throughout the year should contact our JLC Committee Chair, Nancy Cohen. Please email jlc@tbala.org to connect today!